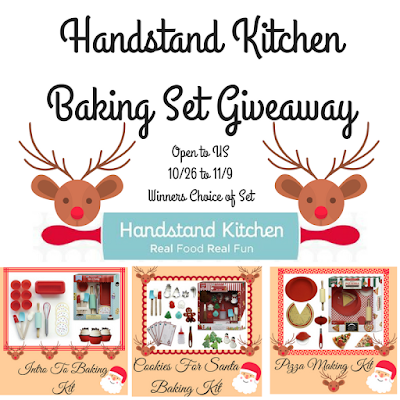 Love, Mrs. Mommy: Handstand Kitchen Baking Set Giveaway! Winner's Choice! 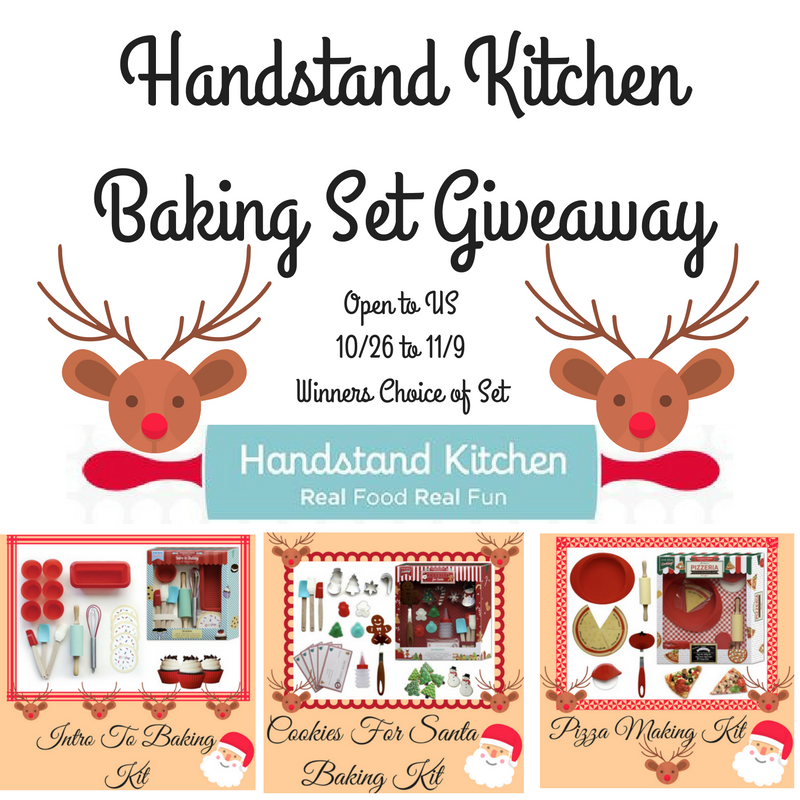 Handstand Kitchen Baking Set Giveaway! Winner's Choice! With the holidays just around the corner, this would certainly come in handy! Good luck! Don't want to wait for the giveaway to end? Get yours at Handstand Kitchen. Now for the fun stuff. This giveaway is open to US. There are daily bonus entries so please check back tomorrow. Share it with your family and friends, they'll want to enter to win too!! I can't ask you to "Like" our pages but, if you see something you like, let us know so we can bring you more of it. I like the second set and I have an 8 yr old that loves playing pretend. He would get it for xmas.